The inauguration of Donald Trump as the president of the United States opens what we fear will be one of the darkest and most dangerous periods in American history since the founding of this journal in 1961. On Monday June 29, the Governor of Puerto Rico, Alejandro García Padilla, delivered a live message to the people of Puerto Rico stating that the government’s $73 billion debt is unpayable. The governor stated, “The public debt, considering the present level of economic activity, is unpayable”. In this TeleSur interview with Rafael Bernabe, the spokesperson for the Puerto Rican Working Peoples Party advocates for a moratorium on the debt. 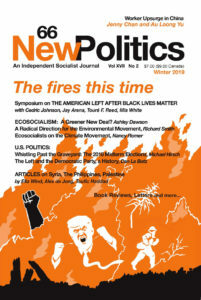 Bernabe has written an extensive article in the current Summer 2015 issue of New Politics. Raven Rakia is a journalist based in New York City. 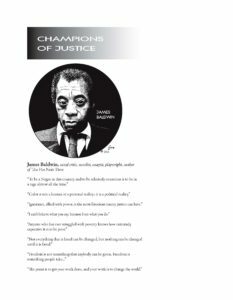 Her work is usually focused on cities, police, and prisons, and she has been published in the Nation magazine, VICE, Gothamist, Truth-Out, Medium.com’s MATTER, and The New Inquiry. You can follow her work at @aintacrow. She was interviewed by email by Amber A'Lee Frost and Saulo Colón. Pain and anger at the police killing of Michael Brown became transformed into protests that swept across America just before Thanksgiving. Thousands of people in the town of Ferguson, Missouri, and tens of thousands in cities throughout the country reacted with indignation, anger and in Ferguson with violent protests after the grand jury failed to indict Officer Darren Wilson in the shooting death of 18-year-old Michael Brown.